Throughout the regular season, the Tampa Bay Lightning have had few issues dispatching their opponents each night. With 60 wins and the Presidents’ Trophy already to their name, they’ve consistently found ways to win games no matter if they fell behind early, put up a big lead or simply had to grind out a one-goal victory. Once the playoffs hit, however, everything can change. Even though they are the top-seeded team in the NHL, that effectively means nothing since there are no bad teams in the postseason. In a season when the Eastern Conference has multiple great teams competing for the two wild cards, it would come as no surprise if a hot eight-seeded team found a way to knock off the regular-season champions. With the Carolina Hurricanes, Montreal Canadiens and Columbus Blue Jackets as a potential Round 1 matchup, how do the Lightning stack up against their competition? While it would be a bit dismissive to say that the Lightning wouldn’t be the favorites against any team in the postseason, the one team they simply don’t want to face in Round 1 is Montreal. As an Atlantic Division rival who met the Lightning in both the 2014 and 2015 Playoffs, there is a recent postseason history between these franchises that would add fuel to the Canadiens‘ fire. On the ice, the Canadiens have a swarming offensive style that gave the Lightning fits at times throughout the regular season. Even though they won three of their four meetings, Montreal peppered Tampa Bay’s goaltending with shots, sometimes building a two-goal lead before the Bolts formulated a comeback. 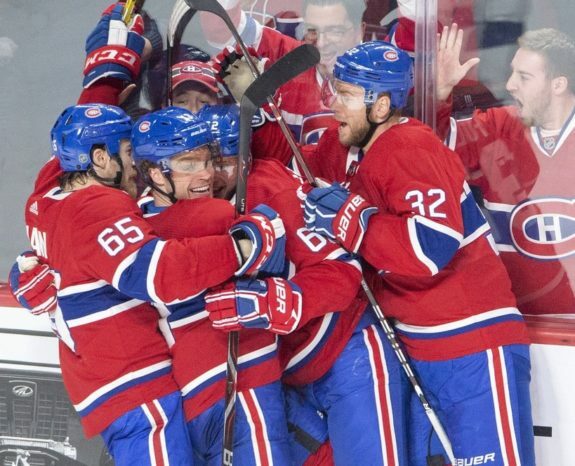 Also, whenever Carey Price is in the picture, he has the potential to steal a playoff series. There are few goaltenders in the world that command the ice like Price, and he will be fighting to finally get the Stanley Cup that has eluded him throughout his career. So, with a roster that will be highly motivated from top to bottom, the Canadiens would be a very tough out for the Lightning should they face off in Round 1. Of all their potential first-round match-ups, the Lightning would likely prefer to see the Hurricanes. This isn’t a knock against Carolina in any way, as they are a dangerous team that has earned the right to be in the playoff discussion. However, as a whole, playoff hockey would be a new experience for them. Much like the New Jersey Devils, the Lightning’s 2018 first round opponent, this Hurricanes team is lacking in playoff experience. While they have some veteran presence on the team, the majority of Carolina’s lineup would be experiencing playoff hockey for the first time in 2019. No matter how good they were during the regular season, the postseason is a different speed and atmosphere compared to anything else in the sport. By contrast, Tampa Bay is a veteran team who has seen the brightest of lights already, so they won’t be awed by the postseason spectacle. 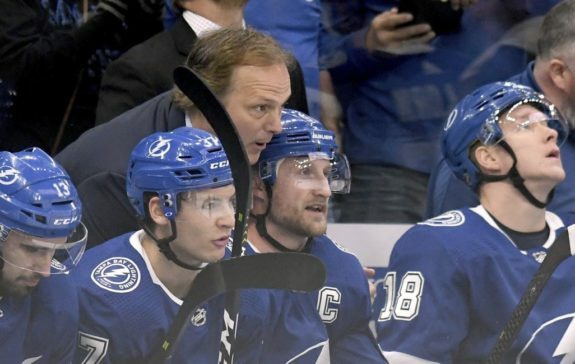 While the Hurricanes will adjust to the playoff atmosphere, all it will take is one or two games for the Lightning to put a series out of reach. One positive for Carolina, though, is Petr Mrazek. Throughout his career, Mrazek has been the bane of Lightning franchise. In the 2015 Postseason alone, he shut out the team twice while almost carrying the Detroit Red Wings past Tampa Bay in Round 1. So, while he may not be seen as the most threatening goaltender heading into the playoffs, he does seem to know how to silence the Bolts in key circumstances. The Lightning’s third potential opponent, the Blue Jackets, is the biggest mystery of them all. They are a team that entered the season with high expectations, went all-in at the trade deadline and still have only just barely stayed in the playoff hunt. Despite this, though, Columbus is a very dangerous team. 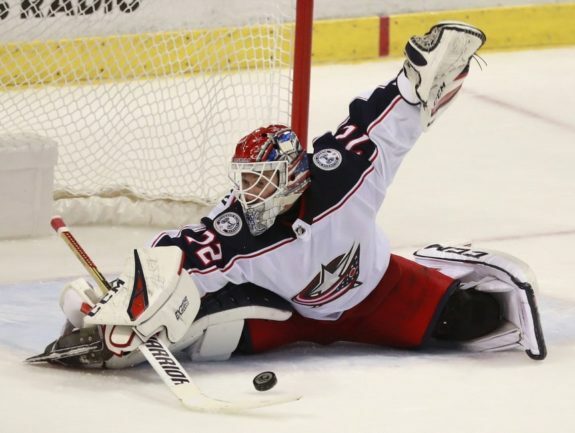 They are a complete unit, featuring top-end scoring talents like Artemi Panarin, Matt Duchene and Cam Atkinson, along with a strong defensive core with Seth Jones and Zach Werenski anchoring the top pair. And they still have Sergei Bobrovsky in net, one of the best goaltenders in the modern era to not win a playoff series. So, even if they limp into the playoffs as an eight seed, the Blue Jackets will remain an incredibly dangerous team. They have the talent and motivation to make something happen, even against the Lightning who thoroughly dominated them in the regular season. Despite how dangerous their potential playoff opposition can be, the Lightning are still the favorites against any team they face in Round 1. If they can continue to play the game that got them 60 wins this season, they should have no problem moving on to Round 2. However, it wouldn’t be a surprise if it took six or seven games before the series was settled. 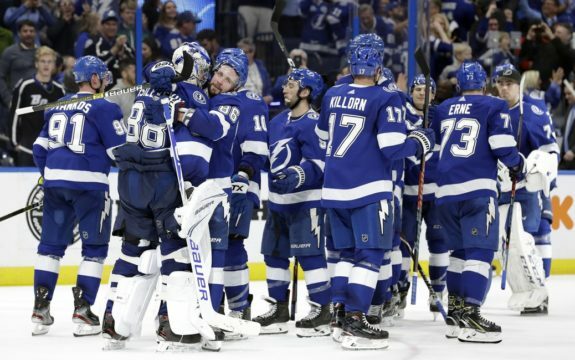 There is no easy out in the playoffs this season, and the Lightning have to approach any team they face as the opponent that will put an end to their historic run. Because if they don’t take it seriously, they could very well find themselves out of the postseason long before the Stanley Cup Final. Subscribe to Our FREE Lightning Newsletter! We'll drop our Tampa Bay Lightning stories into your Inbox a few times a week. Stay up to date with THW.